Confield Technology Limited, a vanguard of 15 years experience in designing and manufacturing RF, CATV and digital TV accessories, in the year of 2000 strengthening its RF design and manufacturing skills to meet the explosion growth of telecommunication industry. Confield Technology Limited is situated in Shenzhen, Guangdong, one of the first Special Economic Zones in China. 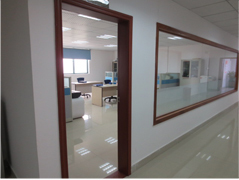 Its quality production premises is equipped with advanced testing and production apparatus for designing and manufacturing products in compliance with all the stringent ISO and customers requirements. accessories products, TIA/EIA standard ADSL modules, and telephone and RJ45 wall outlets, noise cancellation products. 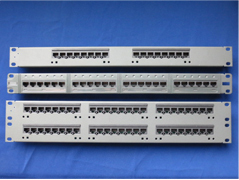 Hence, the company also offers full ODM and OEM services. Confield Technology Limited has received its ISO9001-2008 certification from Moody International Certification Limited, a famous international quality assurance certification company. Confield Technology aims to be more efficient and committed to providing one-stop solution to its customer through in-house design, manufacturing, and quality services. By constantly upgrading itself, the company makes its possible for tracking of latest technology development. The company will never stop raising its customer satisfaction level by improving on the price competitiveness and quality of products, and through making closer customer relation.